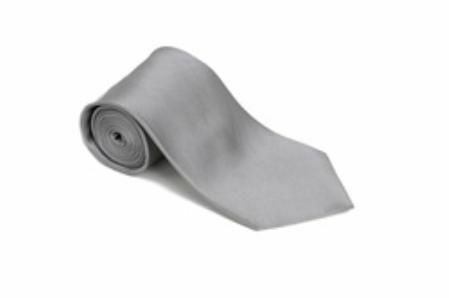 Silver has always been prized as the color that shimmers since ancient times and wearing a solid silver satin tie and hanky set by Fratello simply extends that aura and power. Just by wearing a dark suit and then matching it up with a silver neck tie set, you will see a drastic and immediate difference with how the suit looked previously on you. Just tie the silver tie the way you choose to whether you go four in hand or full windsor for fatter triangular know and fold the pocket square just right and you are in style business my friend. Try on a unique Dinner Jacket for size.